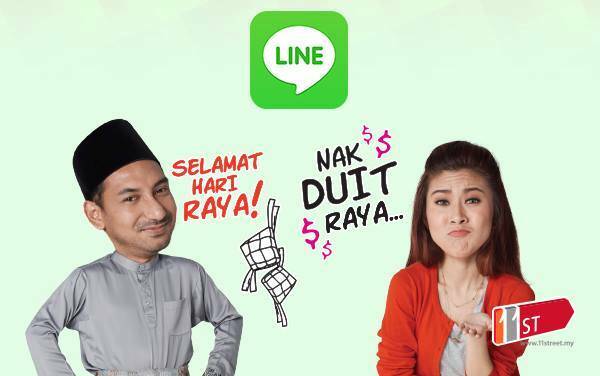 After becoming the new face of Malaysia’s e-mall 11street, Elizabeth Tan or as her fans fondly call her, Lizzy, has announced that she and Zizan Razak, also an ambassador of 11street, now have their very own Line Stickers on the Japanese instant messaging app, LINE. “I never thought that I would be featured as LINE Stickers,” exclaimed the sensational Malay-singing Chinese singer on her Facebook. Users can download the stickers for free by adding 11streetMY on LINE, and they can immediately access all the Elizabeth Tan and Zizan Razak’s hilarious and adorable stickers! Elizabeth Tan and Zizan Razak are the second batch of Malaysian artistes to have their own LINE Stickers, the first two were Shaheizy Sam and Intan Ladyana for “Adnan Sempit”. Elizabeth Tan and Zizan Razak became the new ambassador of 11street last March in conjunction with the e-mall’s first anniversary.